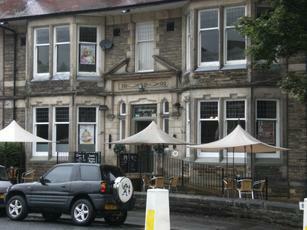 Since the management or owners changed a few months ago this pub has seen a lot of investment. The decor has improved massively, the ladies toilets just aren't recognisable thanks to the upgrade. On the edge of town, its prices are better than town centre. I find it a friendly place to pop in to in the day time, and there's a lot more happening nowadays too. The Thursday Jam night attracts a good crowd. This place is the absoloute dogs!!! I used to go there when i was at school and about 10 years later when i went back to work in harrogate! I totally love this pub, the staff have always been amazing the prices are good enough its in a pretty good location it has a juke box pool table and pretty much any kind of beer you want. On top of that this is a "proper" pub not like those half arsed neither here nor there places you get these days. Granted if you smoke you do have to be brave and venture outside into the cold as there is no shelter for us social leppers but this pub is the nuts! Tucked away from the main bar and club circuit of Harrogate it is in that style although maybe more refined than some. One room across the width of an oldish building with a more discreet but cramped area at the back. Pleasant enough d�cor furnished mainly with low leather sofas, matching tables and some chairs. There is a posing table in one of the big clear front windows and an outside drinking area. The beers are all extra cold mainstream kegs, John Smiths, Tetley, Carlsberg, Fosters, Stella, Guinness and Strongbow although there are three unused beer engines. We were there a bit early to get a feel for what the atmosphere is like when busy but it seemed OK for that sort of place just a bit small. Larger function room upstairs.